The master of ceremonies (MC) is an often underestimated yet vital role required on your wedding day. Understandably it is easy to assume that all they have to do is make a couple of announcements and introduce a few speeches and that’s it, right? Well you may be surprised to know that there’s a whole lot more to it. In fact, the quality and experience of your MC can mean the difference between a smoothly run reception and a chaotic one! Read on to learn more. The duties of the MC get underway before the big day even arrives. They communicate with the bride & groom, the venue manager, wedding planner, and even family members/friends who may have special requirements for speeches or announcements. This often involves many emails/phone calls in the weeks leading up to wedding. They make sure they have read the running sheet, familiarising themselves with the names of the bridal party for introductions, speeches and the various formalities occurring throughout the reception. A key difference between a professional MC and a family member or friend doing the MC duties is experience. We couldn’t tell you how many times we have seen an uncle or best friend who has agreed to take on the role of MC only to discover on the day they have bitten off more than they can chew. They spend the day running around stressed and nervous and are unable to enjoy themselves at all. At the other end of the spectrum you get the MC who is oblivious to the importance of their role and their duties. This generally leads to everything running behind schedule with formalities having to be reorganised and rushed on the day. Not something you want after many months of meticulous planning. None of the above occurs when you use a professional MC who has worked at hundreds of weddings (like us!). A lot goes on behind the scenes on the big day to make it run smoothly. 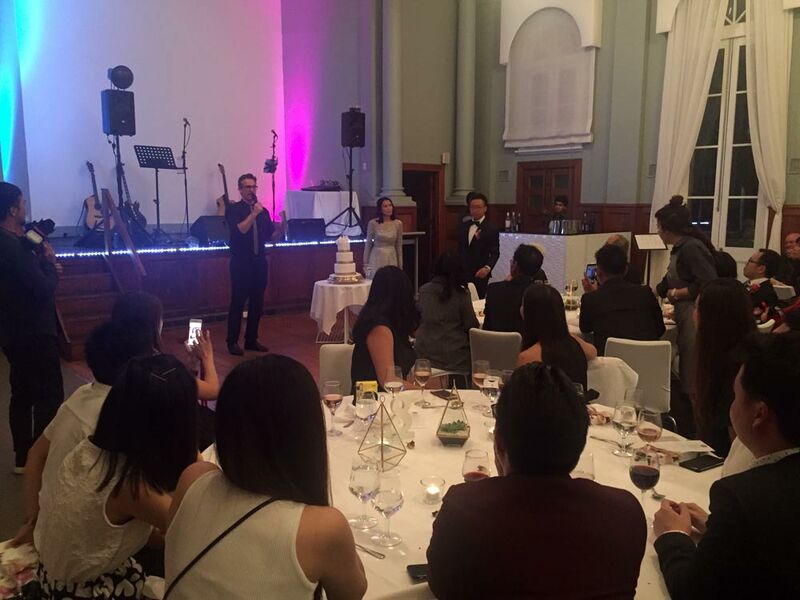 A good MC is able to organise and liaise with venue management, the bridal party and guests to make sure this happens. They also need to be cool and calm under pressure as there is a lot to fit in during a short few hours and yes, the running order of formalities can sometimes change and unexpected events can arise that need to be dealt with quickly and efficiently. It should absolutely NOT be the role of the bride to be running around organising everybody on the day of her wedding. With a good MC at the helm, she can spend more time enjoying her special occasion. All these formalities need to be communicated to the bridal party and guests in a clear and professional manner with a fun attitude. It’s a party after all! The last thing you want is a shy, awkward and sometimes overwhelmed friend or family member to be announcing all these important formalities. Even understanding seemingly small things like correct microphone techniques can make a huge difference. A great MC can really set a fun and happy tone throughout the reception. Now I know it looks like we’ve given the friend/family member who’s taken on MC duties a bad rap. But we’ve actually seen some excellent MCing done by first timers. Some people are just naturals. The simple aim of this article is to give you a deeper insight into how complex the role of the MC actually is. And if you want the peace of mind knowing, after many months (sometimes years) of planning, that your wedding day will run smoothly, efficiently and with everyone having a great time then our suggestion is to go with a professional and experienced Master of Ceremonies. See below for some random hints and tips you might want to consider when deciding whether or not to hire an MC. If you decide to ask one of your guests to take care of the MC duties, they need to make sure they don’t get drunk early – it just doesn’t work. We’ve seen it before, and it’s not pretty. They can drink as much as they want after about 9pm when the dance floor kicks off – they won’t have much to do after that. Your MC might say yes before the event (it is an honour after all) but when the big day rolls around it can be a very nerve wracking experience. The amount of times we’ve seen terrified MC’s sweating bullets before the event even begins is unbelievable. Make sure you aren’t ruining their day – seriously. Just because your friend is funny and confident in everyday life that doesn’t necessarily mean they will be great at MCing. They should have at least some experience speaking in front of crowds, and using a microphone. 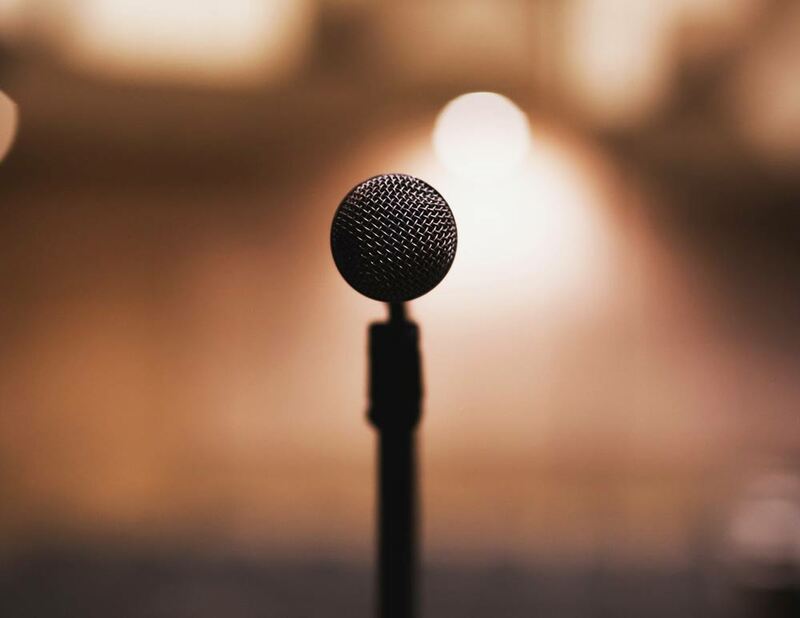 If you do decide to hire an MC your venue will love you. Whenever we let the venue know that we’ll be MCing the event they, without fail, respond with something like “Thank God”. 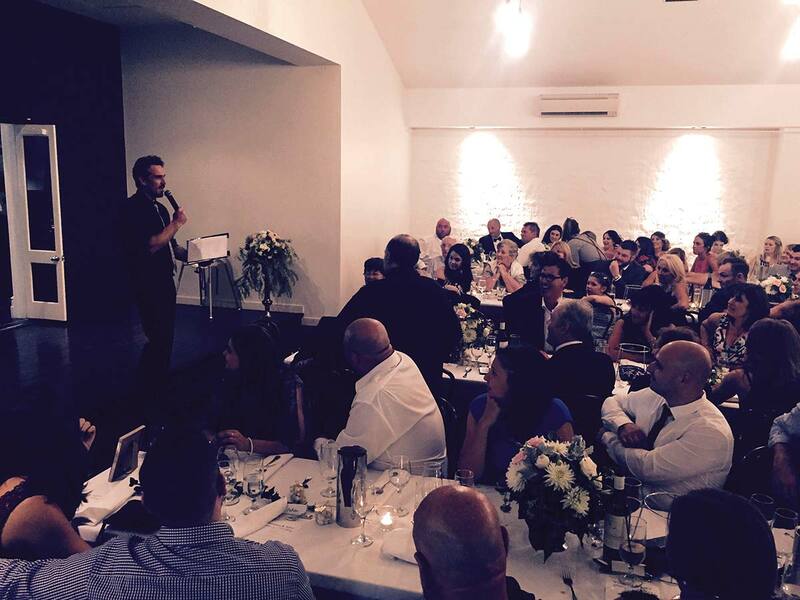 It makes it easier for everyone involved, including the venue/kitchen if you hire a professional MC. Let your MC know that he or she should introduce themselves to the band at the start of the night. It is very likely that they will be using the band’s microphone for announcements, and will be coordinating with them throughout the night. A lot of bands (like us) will have a wireless mic for the MC to use.